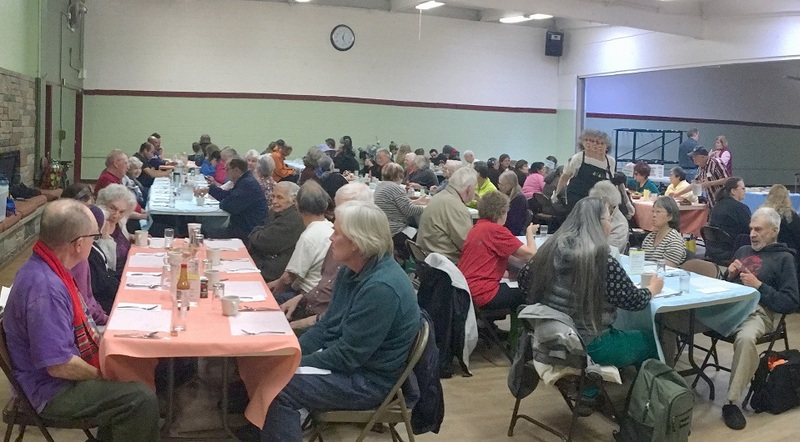 “If food assistance went away, I would starve to death” commented one of the diners at our Senior Meals last month talking about what it would mean if this program went away. We were talking to some of the guests who join us for the meal regularly. We were trying to understand how different safety net programs, including food stamps (SNAP), Women, Infants, and Children (WIC), School Meals, and Medicaid, help people and what would it mean if these programs were to go away or significant cut as it is currently proposed in the federal budget. “Food assistance programs have kept me from starving. I have a place to go and share my stories & listen to others. I rely on food stamps to cook a meal, to have a meal” says Victor. It is distressing, to say the least, to hear these comments and to realize what is at stake if the federal safety net programs are not adequately funded. We are glad that HIP is able to provide this vital assistance to people in need, right now, in our community. However, our programs are no match for a federal food stamps program that helps more than 40 million people and has lifted more than 10 million people out of poverty. While we will continue to provide nutritious meals to people at risk of hunger, it is also our responsibility to support legislation to make sure we address the root causes of hunger so that more people don’t fall into poverty and hunger. Our goals is to move away from a situation where people are struggling with hunger to a place of thriving where everyone can do their best. Thank you for working with us towards that goal.